2002 - The Computer Science and Information Engineering department was established, offering a four-your undergraduate program. 2003 - The Evening Program was founded. 2003 - The Two-year Undergraduate Program was offered. 2003 - The Master Degree Program was established. 2006 - The Two-year Undergraduate Program was closed. Our goal is to train students in professional abilities and practical skills. We educate students the basic theoretical knowledge and advanced IT applications, as well as implementation training. We focus on software design and intellectual property rights application to meet the country's technological and economic development. 1 To teach students with professional knowledge in computer and information engineering, and other related fields. 2 To train students with cross-disciplinary abilities and team-working skills. 3 To develop students with global perspectives and lifelong learning. The goal of the department is to cultivate students' technological expertise and practical profession in multimedia application, embedded network techniques and biomedical signal processing. Implementation skills are emphasized; therefore, we encourage students to participate in competitions to improve their capabilities and hence strengthen their self-confidence. There are ten laboratories providing high-tech professionals with expertise in software design and application to meet the demand required by information industry in our country; i.e. (1) Image Processing Lab., (2) Embedded Signal Processing Lab., (3) Media Processing Lab., (4) Intelligent System Lab., (5) Biomedical Information Lab., (6) Embedded Multimedia Network Lab., (7) Data Engineering and Multimedia Security Lab., (8) System Integration Lab., (9) Microprocessor Lab., and (10) Project Workroom. From the early PC to the current network communication age, technology has been playing a role in economic development. We believe that the technology of digital contents will have great influence on global economic development in the future. The core technologies, as we mentioned in our curricula, combined with the expertise and the experience in our faculties, will provide our students with profound knowledge and professional training in their employment and advanced study in the future. Broadband network communication age has seen digital revolution. Good quality and quantity communication are people’s concern and can be achieved through hardware and software advances. Our industry has made a large investment in broadband network communication equipment; software/hardware co-design technological professionals are in great demand. Therefore, the training of qualified software engineers with knowledge in multimedia contents and information network communication is the major goal of our department. In 2005, we passed the Technological University Evaluation performed by the Ministry of Education, and achieving the best grade. 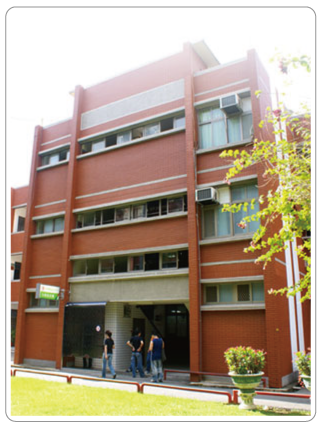 In 2006, our undergraduate program passed the accreditation of engineering and technology education performed by the Institute of Engineering Education Taiwan (IEET). In 2007, we also pass the accreditation for the graduate school program. Our department is the first one which pass both the undergraduate and graduate programs among all vocational computer science departments.